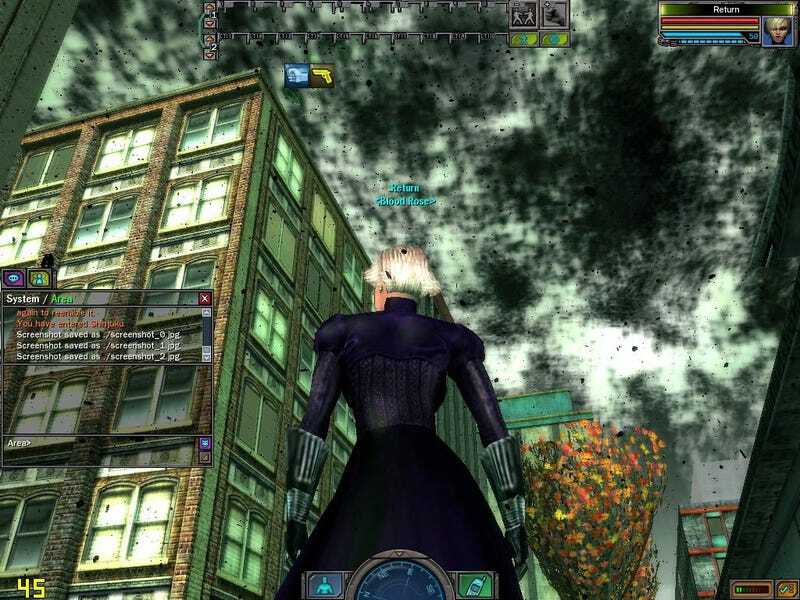 The Matrix Online never really caught on, did it? Didn't help the second and third movies poisoned people's interest in the franchise. And that it wasn't World of Warcraft. Regardless, until last week, it was still around. But not any more. Over the weekend the long, pointy plug that had kept the game connected to the marketplace for the past four years was yanked, and the entire game world came to a crashing end. No more players, no more grinding, no more world. Fortunately for those who decided to stick around until the bitter end, the game's custodians put a little effort into proceedings, and made sure that when the virtual Matrix came to an end, it gave spectators something to revel in, with creepy skylines, dance parties and environmental effects littering the world. Makes you wonder; since so few of you will have actually played this game, what does it say about us that we find a game world's destruction infinitely more entertaining than its creation or existence?